Error message in Windows XP Service Pack 2: "Stop 0x7E"
How the issue happened? The issue was caused by the 'Remote Boot SCSI Miniport Virtual Adapter', when windows removes the driver and reboot, my t43 will show BSOD. The driver is a part of the DiskSafeExpress [It's called DSE later], it's used for launching remote boot disk with PXE boot to boot with no disk or broken disk. Why I want to remove the driver? Because the driver will cause my t43 hibernates fail [see the dialog]. The driver should be removed when the remote boot is disabled or the DSE is removed, but it's not removed on my t43. So today I tested new version of the DSE and enabled the remote boot, and remote boot was success, then I disabled the remote boot. The dialog shows me it needs to reboot to finish the procedure, so I click the OK to reboot. After reboot, the windows showed the BSOD repeatedly, and I searched with google, and install ed the patch KB900485, it's not useful, so I thought the issue is not about the system files. I saw many articles took about the third party drivers maybe cause the windows system BSOD, so I pressed F8 and entered the safe mode, and go to the [Add or Remove Programs], I removed the all programs that included the system drivers that are unnecessary, like PL2303 USB to RS232, MOXA USB to RS232, Nero 6 [Include Nero Image Driver], Ethereal / WinPcap, PDF Creator, etc.... After I removed those drivers, I reboot my t43. After the t43 reboot, it's magical, I can see the login dialog. I login the windows and checked the device manager, the 'Remote Boot SCSI Miniport Virtual Adapter' was removed success, it's not visible in the device manager. I clicked the Start/Shutdown/Hibernate, the hibernate works well. I was success to fix the hibernate fail issue on my t43. 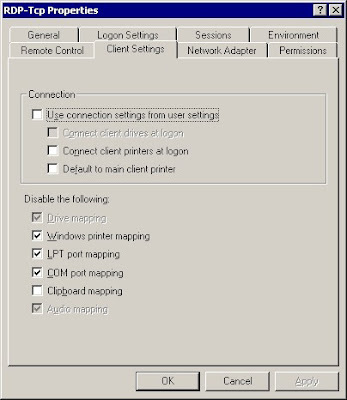 The basic drivers, like the VGA card drivers, ATA controller drivers, NIC drivers, if these drivers cause the computer non-bootable, users should know when the new system was installed. So these drivers are not easy to cause the issue. The happiness is I did the something that RD maybe not to do, because my manager told me that her NB had the same issue before, but the RD told she there were no way to fix the issue.